Half Paneled Anarkali is mixed pattern of Circular Anarkali’s bodice part and Panel Anarkali’s skirt part. Here I add that the bodice with princess seam. 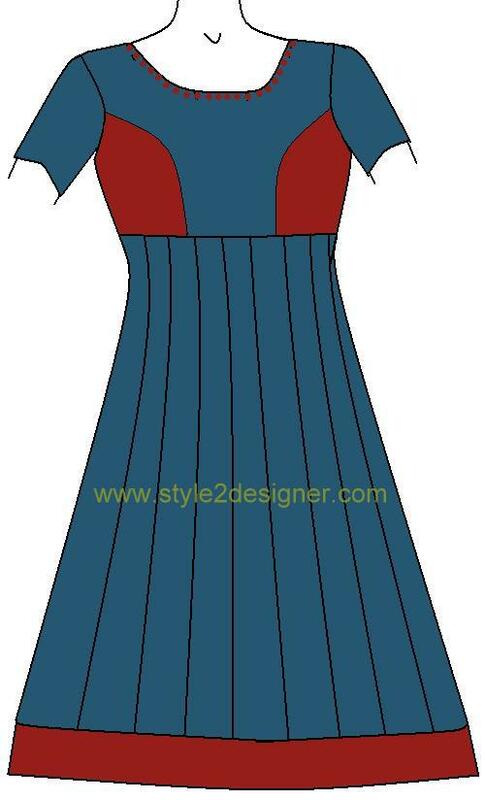 These types of Anarkali top having fit bodice and flare skirt part with panels. This Anarkali suit stitched with thin fabrics like chiffon, Georgette, net, tissue & cotton with proper lining. 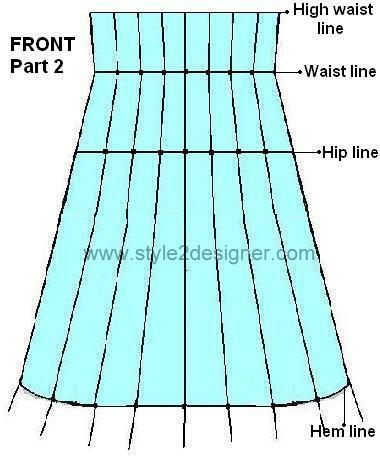 Here I’m going to give instruction for High waist half panel Anarkali. First you have to draft Basic high waist kameez A line draft. Click HERE to know the draft details. Take A line draft and take apart the front and back pieces. Now cut along the high waist line of Front piece to separate Bodice and skirt part. Point a is meet point of Straight line from 10’. Point b is ¼” down from 10’. Mark 1.5cms both sides from point a. join from these mark to b.
c is the mid point of armhole curve. Then join point c to b through 10’ with soft curve. Cut along this marked lines. 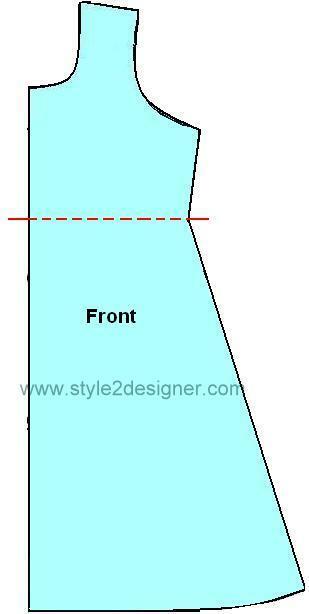 Front part 2: Panel instructions same as Paneled Anarkali Click HERE to refer Anarkali with panels tutorial. 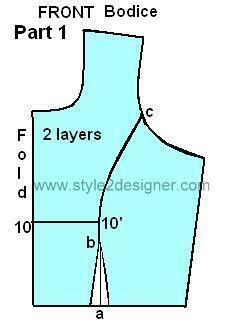 Join front bodice princess seam pieces together and join panel pieces together then join the above 2 parts. Back piece is a plain A line here. You can make panels for back piece also with these same methods. Now you will get sleeves, Front & back pieces. 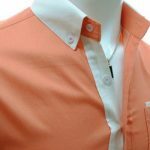 Click HERE to refer Kameez Tutorial. Other sewing instructions are same as Kameez.